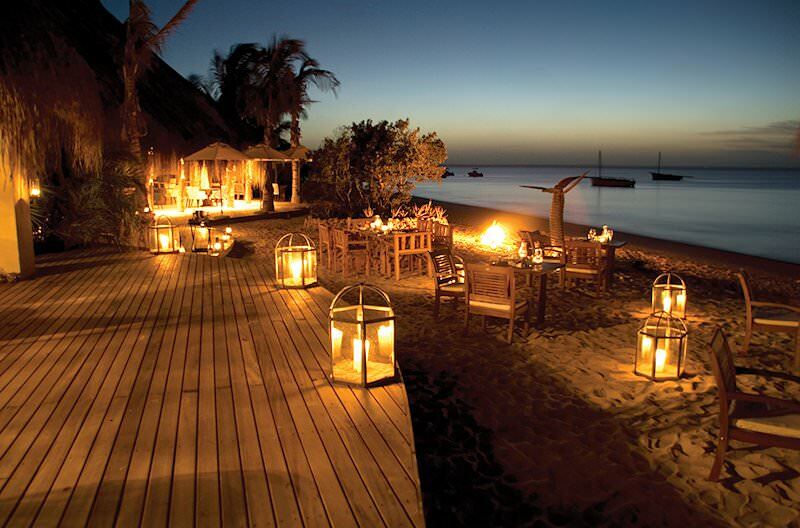 A truly luxurious island adventure, this African beach vacation offers the ultimate tropical getaway. Certain activities are guided by lodge staff. Guests are met upon arrival at O.R. Tambo International Airport in Johannesburg by an African Sky guide, who will assist them with connecting to their flight to Vilanculos in Mozambique. 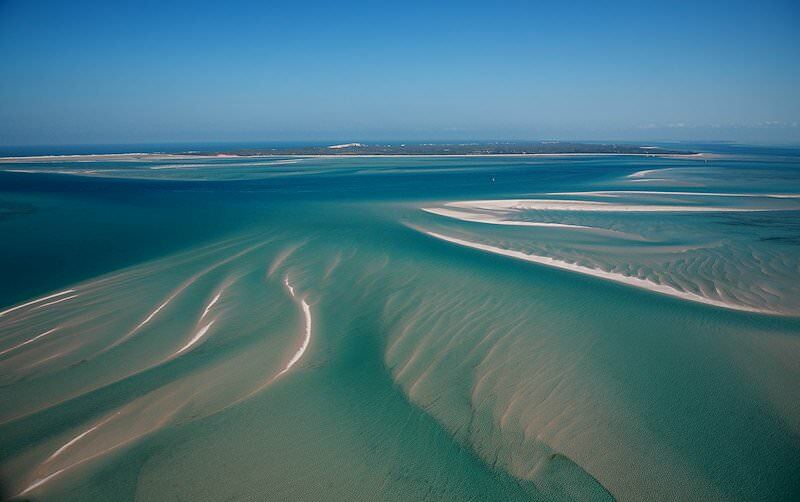 After a flight of an hour and forty minutes, guests are transferred to Benguerra Island via a helicopter charter. 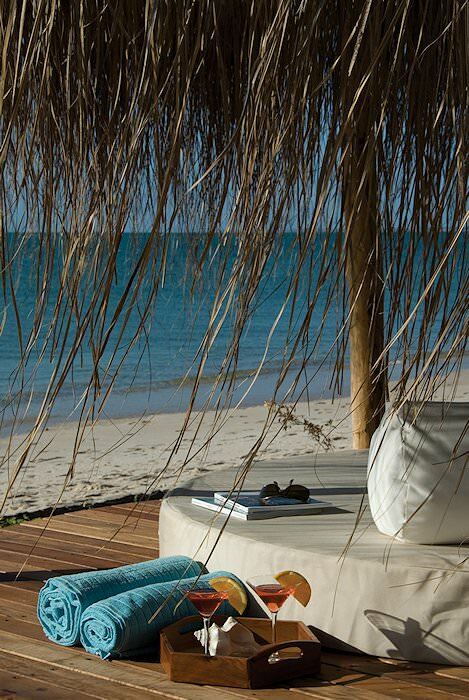 The afternoon is spent at leisure enjoying the natural spoils of this exotic island. 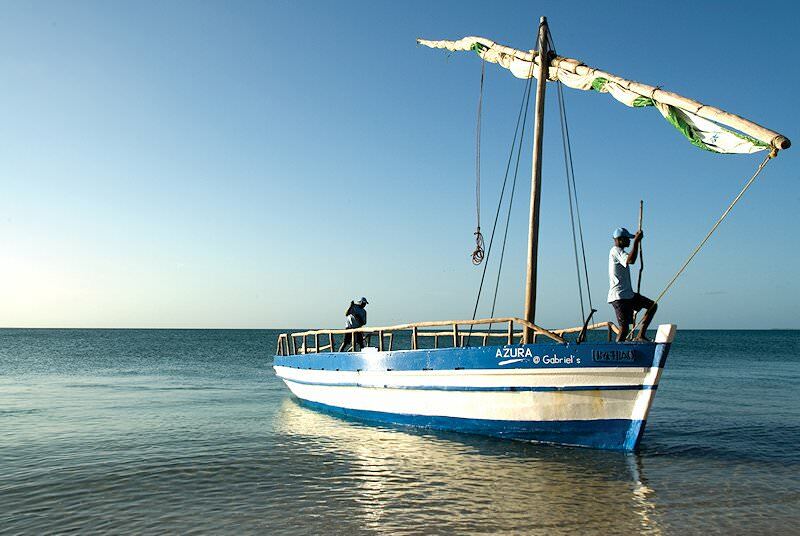 At 55 square kilometers, Benguerra is the second largest island in the Bazaruto Archipelago and is particularly famous for its pristine white beaches. Tonight you will enjoy an introduction to the delectable local cuisine - a captivating fusion of African and Portuguese flavors. 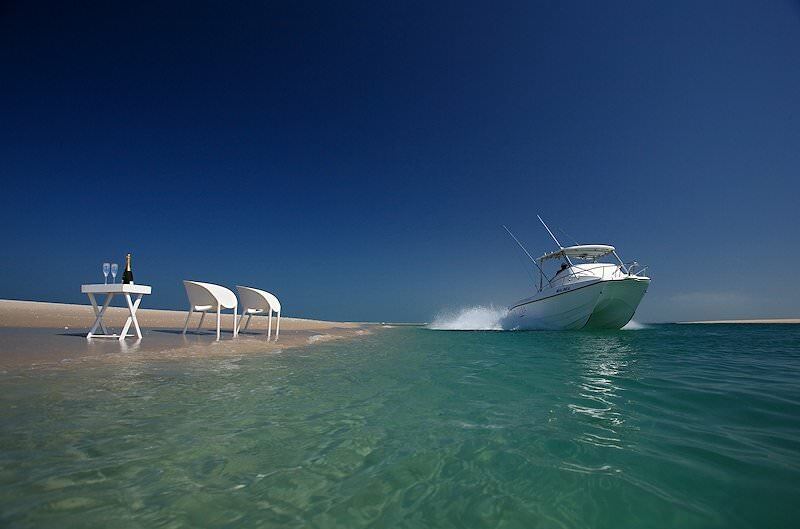 Benguerra Island offers an exciting blend of activities for adventurers and a plethora of relaxation opportunities for the world-weary. 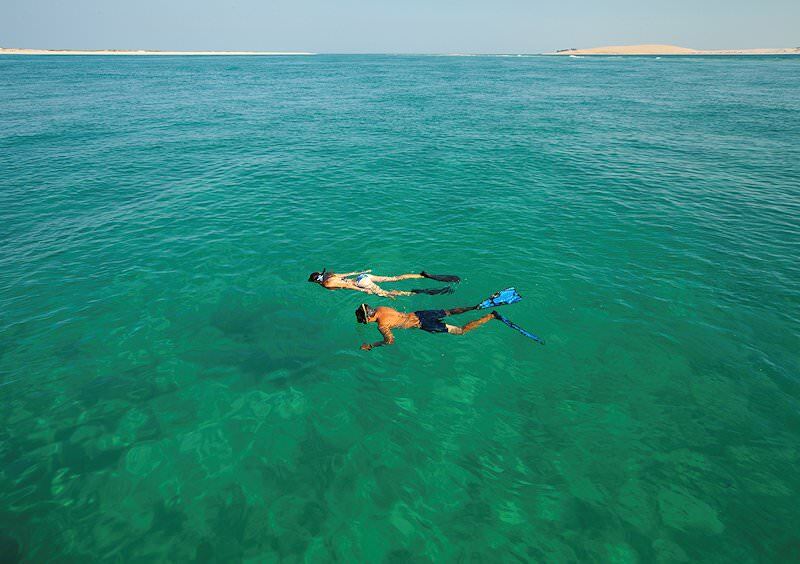 The waters surrounding the island are rich with marine life, which means that whether you elect to snorkel Two Mile Reef or venture deeper into the Indian Ocean with the resort’s masterful PADI instructors, you will encounter a truly magical underwater world. 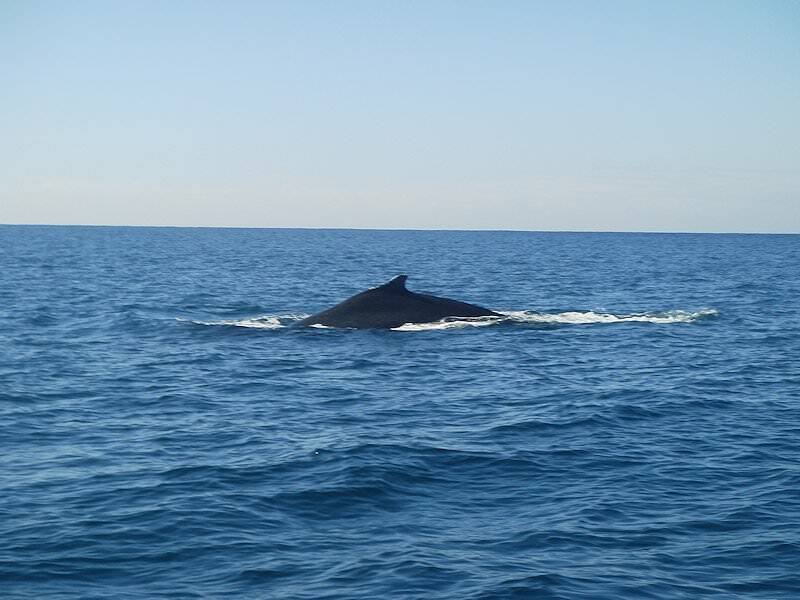 These waters also abound with Tuna, Marlin, Sailfish and Grand Trevally, so avid sportsmen may try their hand at big game fishing. 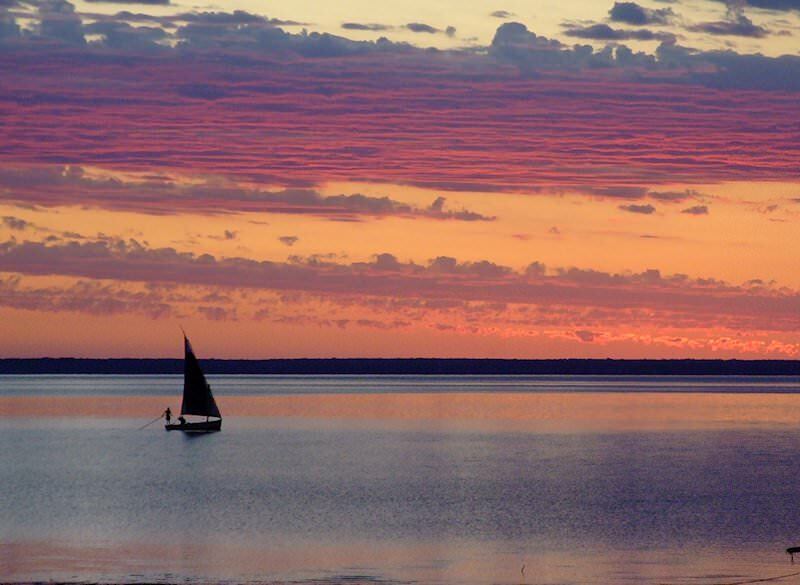 A more relaxed water-based endeavor is available in the form of sunset dhow sailing - authentically African and unforgettable! 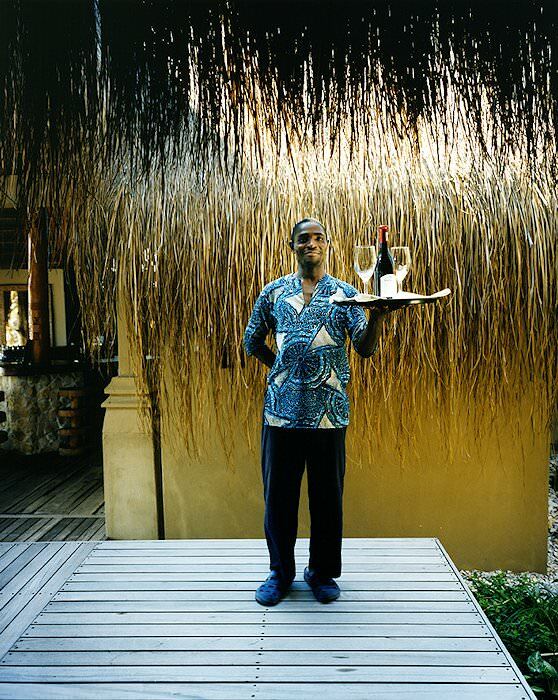 Between these exhilarating adventures, relax in the cool waters of your private plunge pool or float along in the balmy swell of the Indian Ocean. 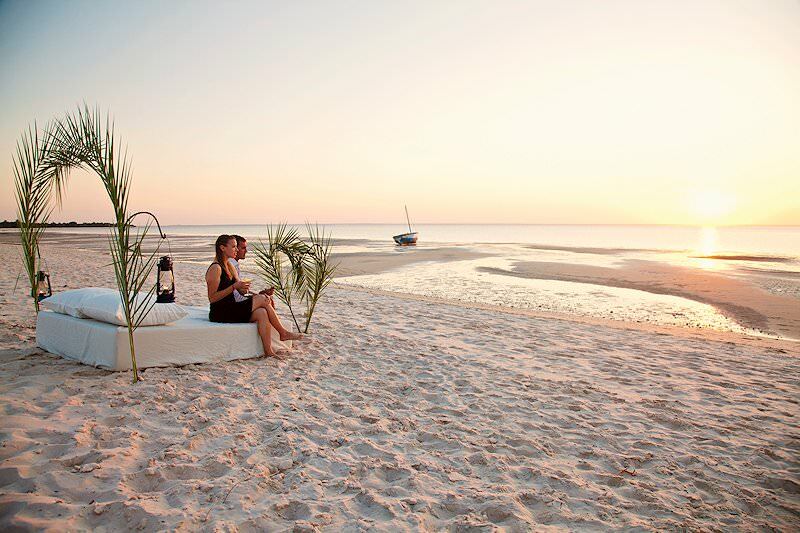 Sunbathe on the sandy shores or head to the Azura African Spa for a pampering signature treatment. 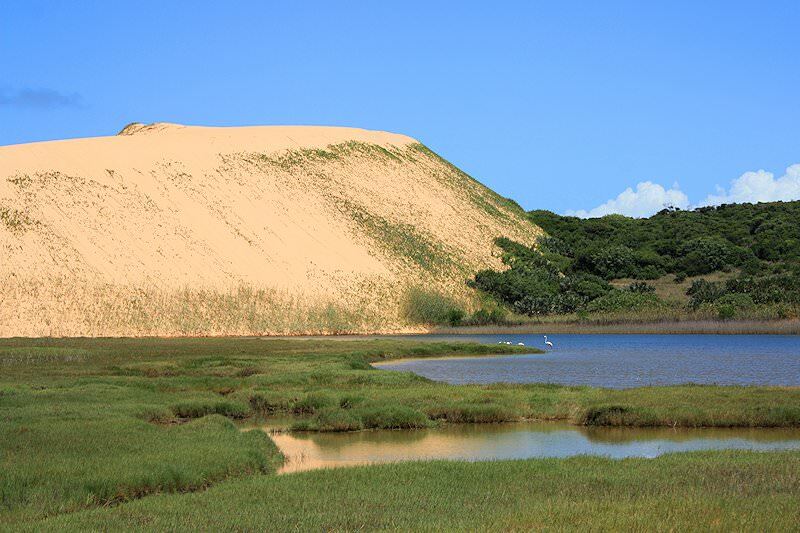 Explore the dunes, relish a scrumptious beach picnic or circumvent the island on a Land Rover tour. 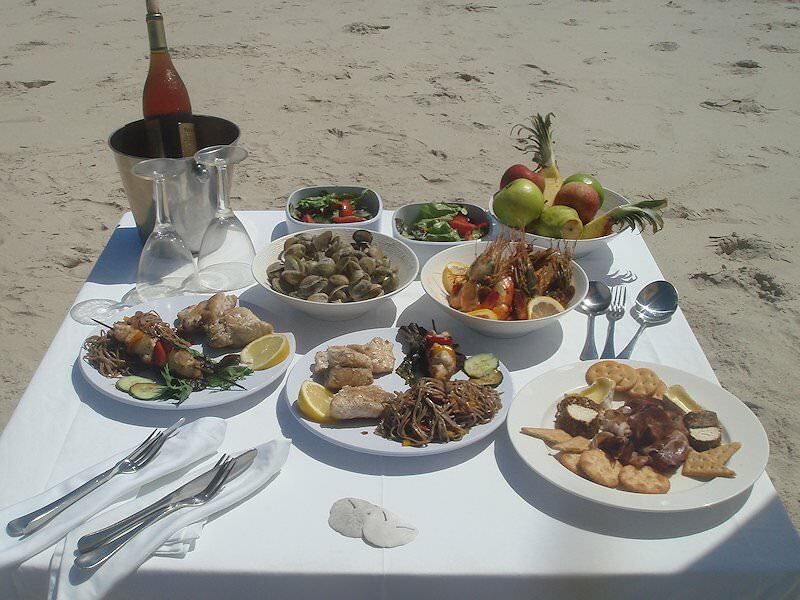 The days are yours to enjoy and indulge in. After breakfast guests are returned to Vilankulos Airport and board a charter flight to Pemba. 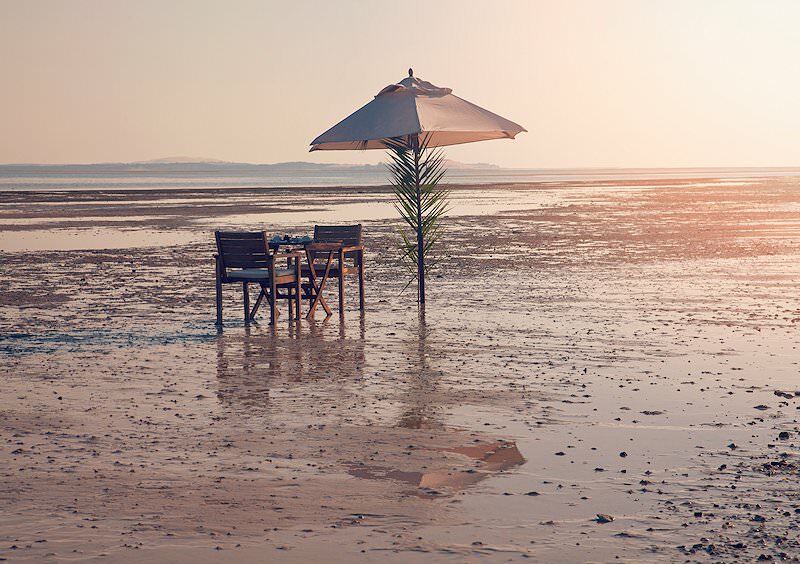 Upon arrival in Pemba, guests are transferred via helicopter to the unspoiled shores of Quilalea Private Island in the Quirimbas Archipelago, a protected marine sanctuary in the Indian Ocean. 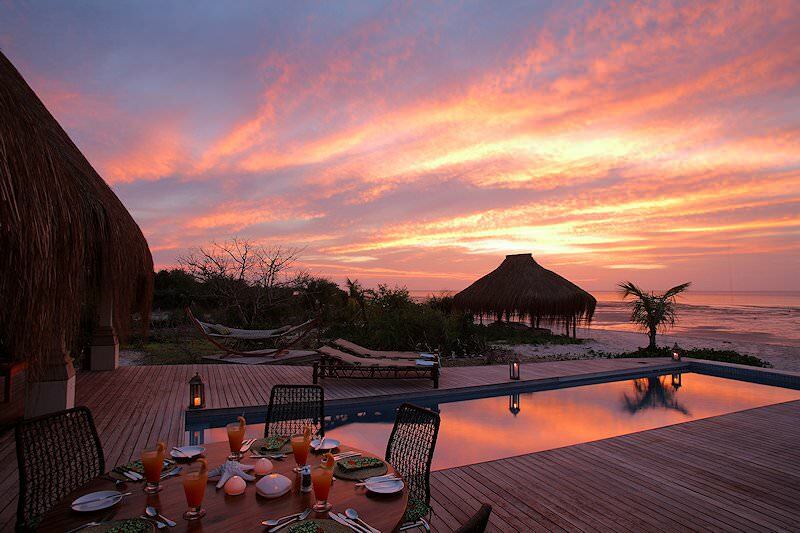 Spend your days living like royalty on Quilalea Island - a stretch of paradise inhabited solely by the guests of the resort. Activities range from kayaking through the bewitching mangroves of sister island Sencar to extending your underwater adventures snorkeling or scuba diving the incredible reefs surrounding this untouched corner of the world. 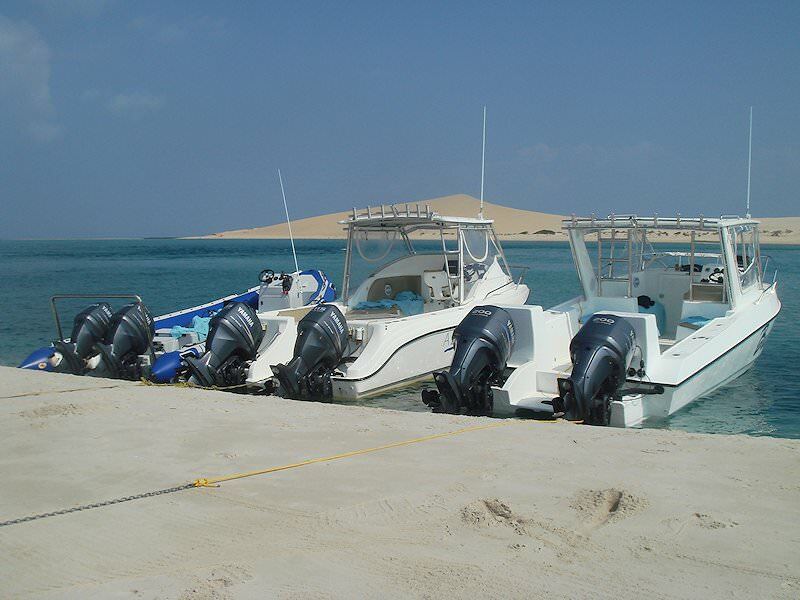 Dhow sailing, fishing and exploring 86 acres of private island enhance days spent luxuriating in island life. 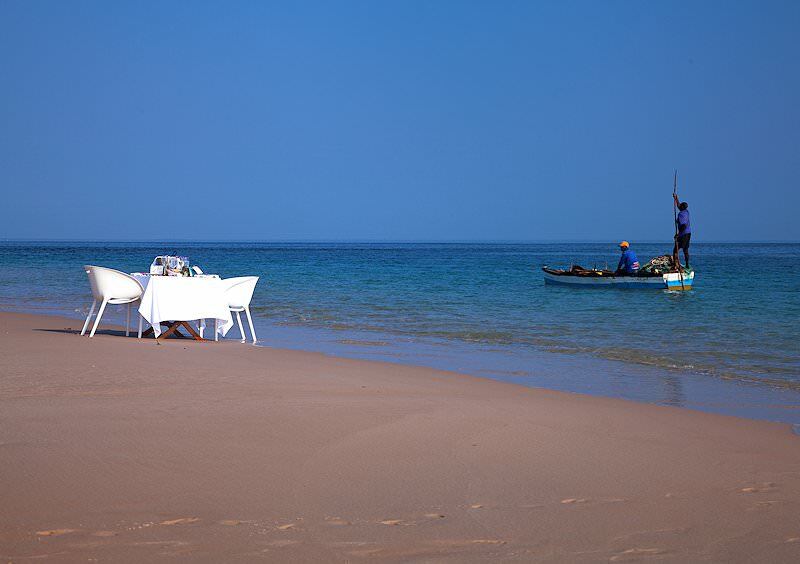 Fresh seafood characterizes mouth-watering mealtimes, which can be enjoyed almost anywhere on Quilalea. Visiting in the summer months may be hot and humid, but if you happen to be in the Quirimbas during February, you may experience the rare joy of observing turtle hatchlings make the journey from the nesting beaches into the temperate waters of the Indian Ocean. Such experiences are strictly regulated. Game fishing in the Quirimbas is seriously rewarding. More than 50 sport fishing varieties are present and, while some species are migratory, most do not have to venture far to feed and are present in large numbers year round. Embark on a thrilling deep-sea fishing excursion, ethically run blue water spearfishing trip or a catch-and-release fly-fishing adventure. 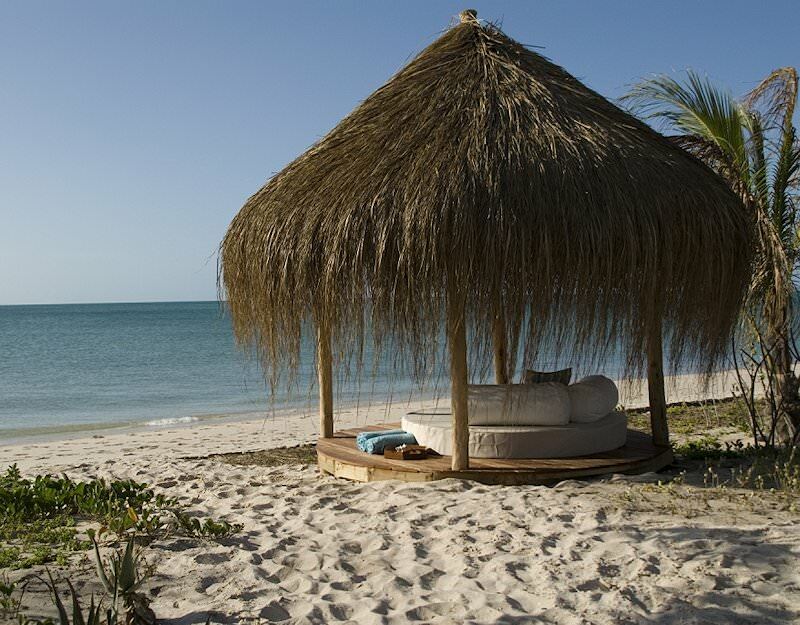 Following a last breakfast with the Indian Ocean at your feet, guests fly back to Pemba for their flight to Johannesburg, bringing to an end an incredibly exclusive five star Mozambican beach holiday. Travel to South Africa for a series of thrilling safari experiences. Namibia's most sought-after wilderness area is Etosha National Park in the north. Zambia is known for its barely touched safari areas, like South Luangwa and Lower Zambezi. Zimbabwe's off-the-beaten-track safari destinations include Mana Pools & Hwange. 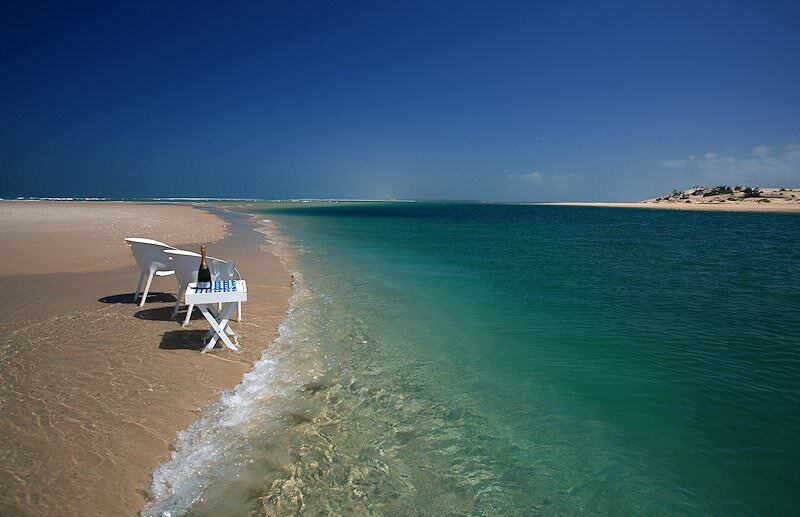 Mozambique is a tropical paradise of temperate waters and fine beaches. A safari in South Africa's Kruger National Park will capture your soul and endow you with memories for a lifetime. A luxury safari will immerse you in a true wilderness while you enjoy plush lodgings and rewarding game viewing opportunities. The Big Five are the continent's most impressive mammals, and are particularly thrilling to encounter on safari. The African lodges in our safari packages are scattered across locations as diverse as Etosha National Park and the Okavango Delta.